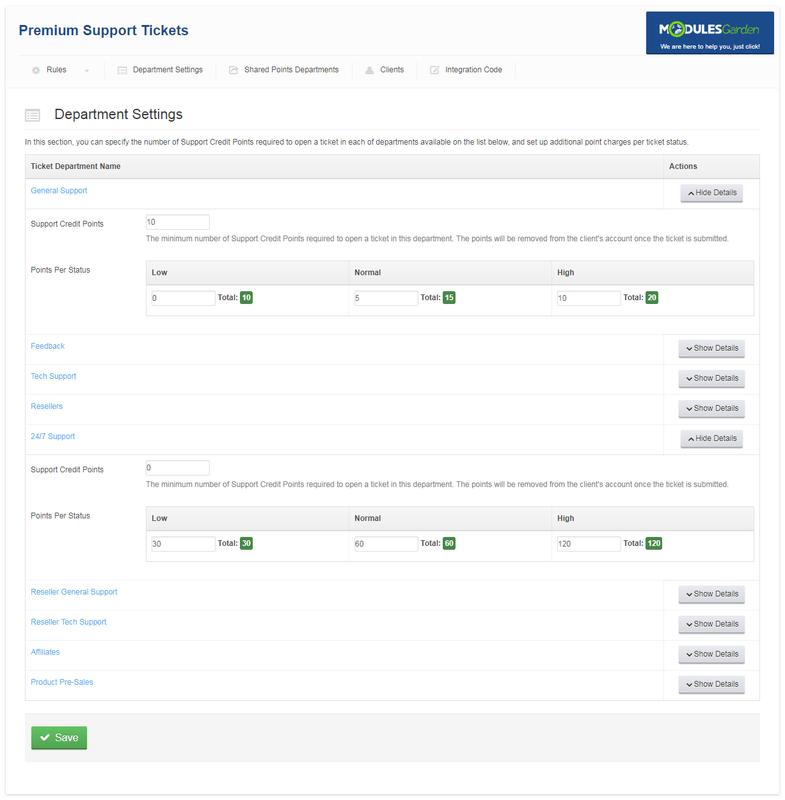 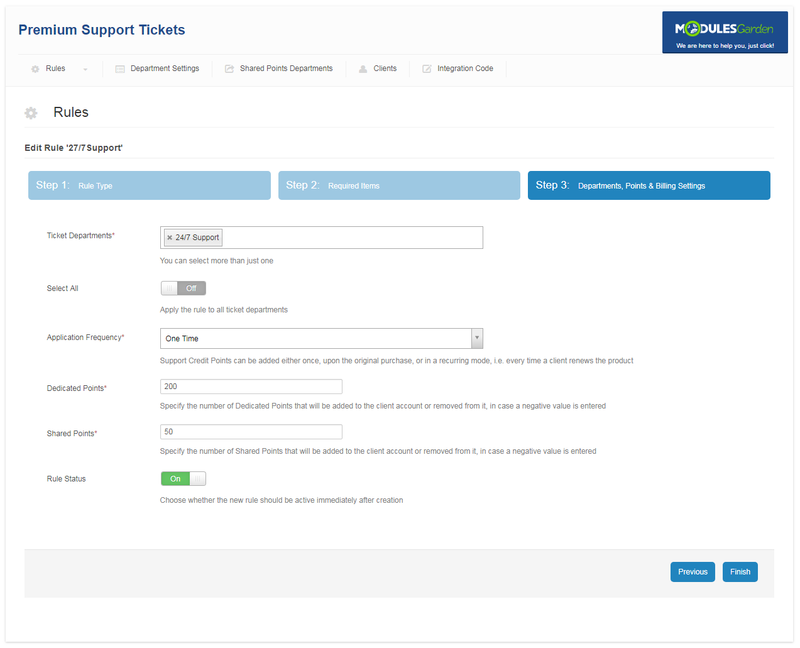 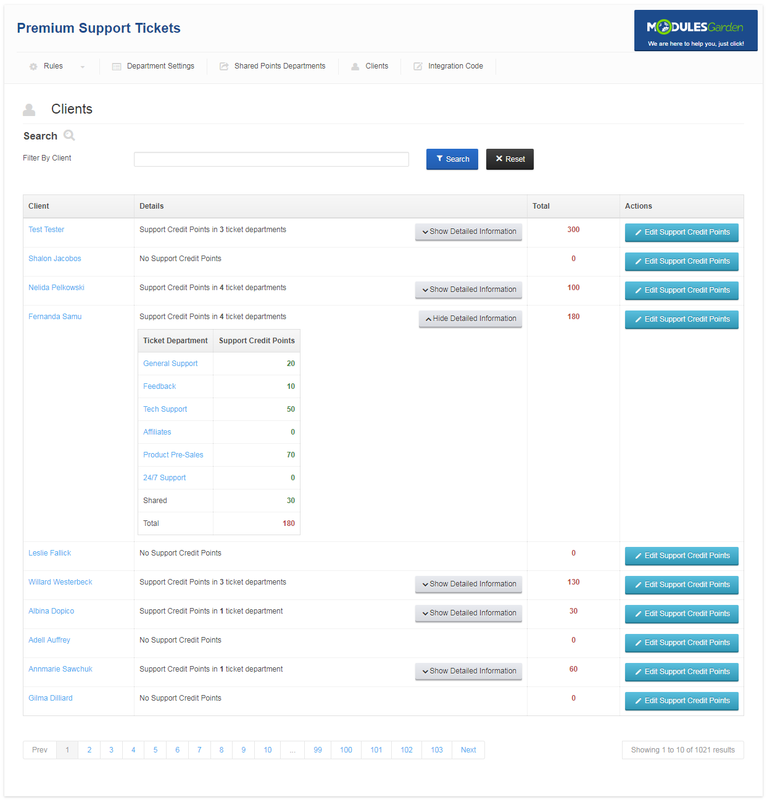 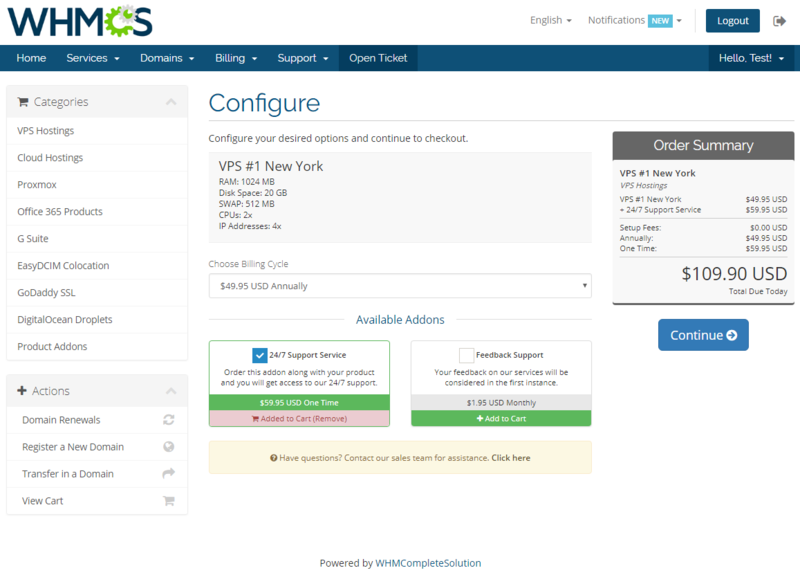 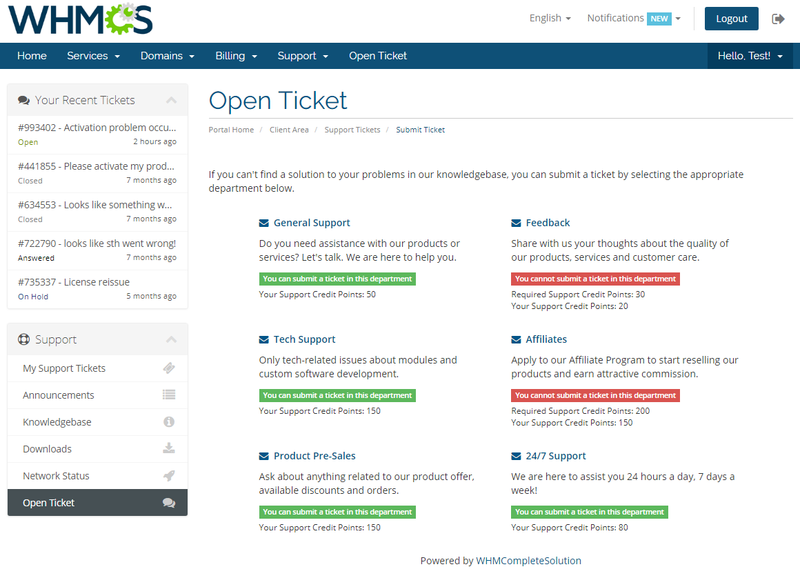 Premium Support Tickets For WHMCS has been designed to let you supply products and addons defining the scope of access to your support services. 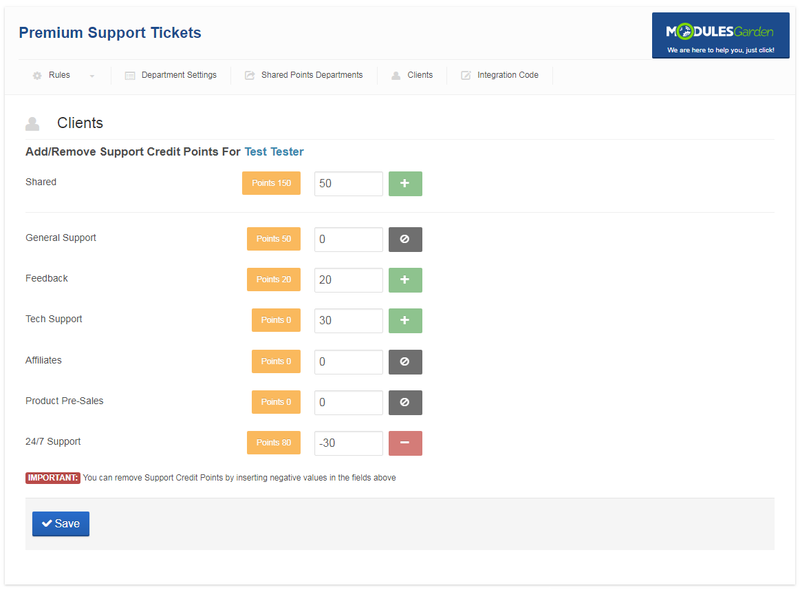 With it, your customers will be obliged to purchase support credit points in order to open support tickets in particular departments. 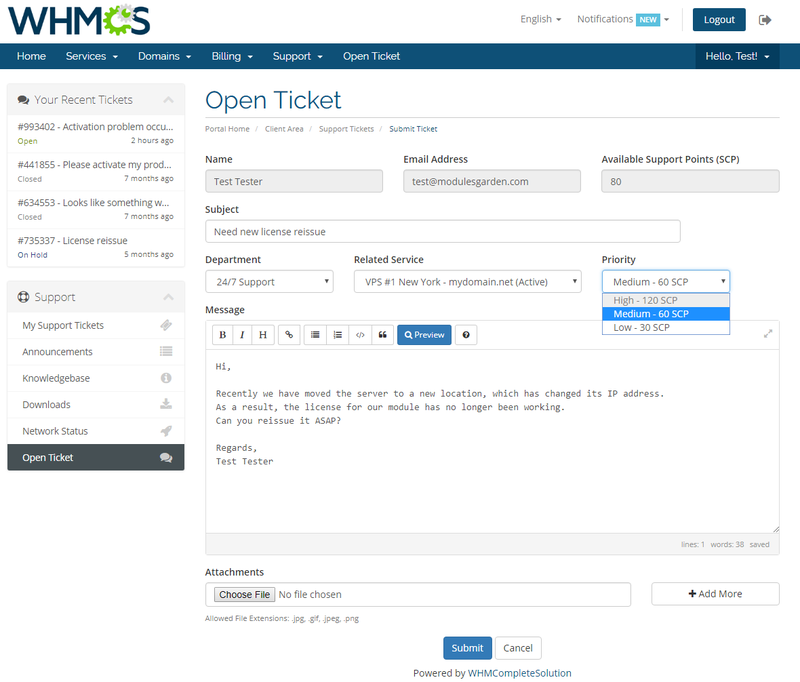 The module will allow you to introduce different point charges for submitting messages depending on the selected department, and even the priority of a ticket. 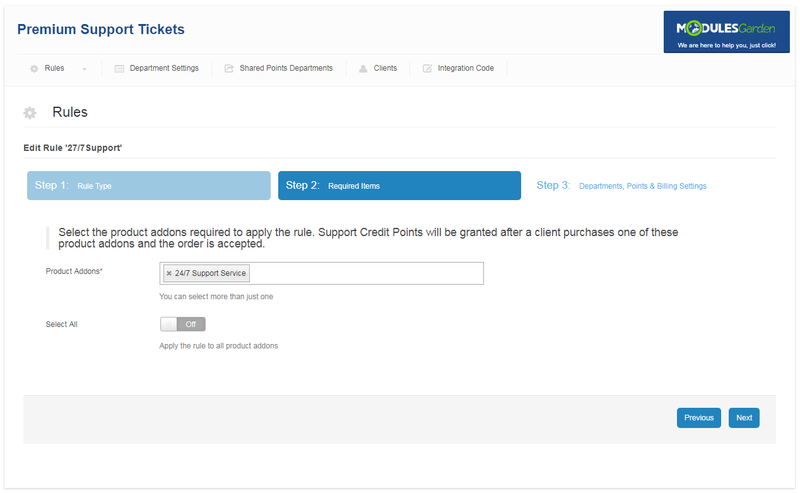 At the same time, you will be free to establish as many rules of credit application as required, deciding on the services that points shall be delivered with, and how often the points should be granted - only once or periodically, i.e. upon each product renewal. 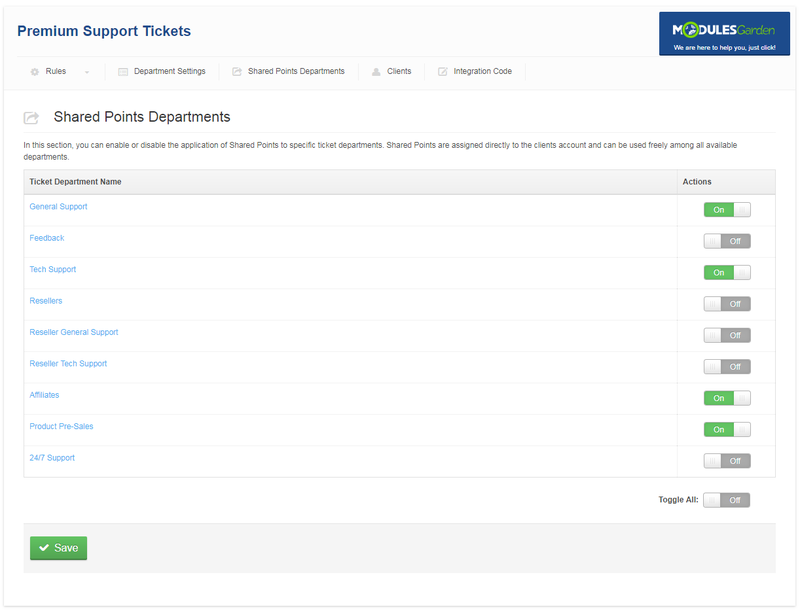 You can provide clients with either dedicated points, set out for every chosen department separately, shared points, allocated directly to the customer’s account to be used freely among all enabled departments, or both. 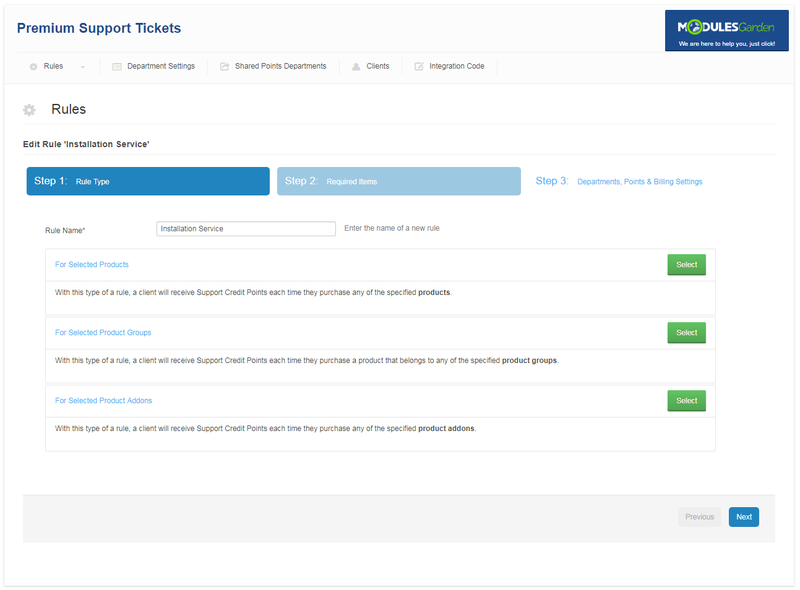 Craving more controlling powers over the ways you offer customer service? 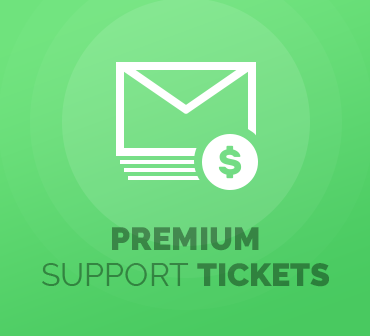 Premium Support Tickets For WHMCS will shake up your perspective once it brings the clients’ access to your support teams under whip-smart supervision. 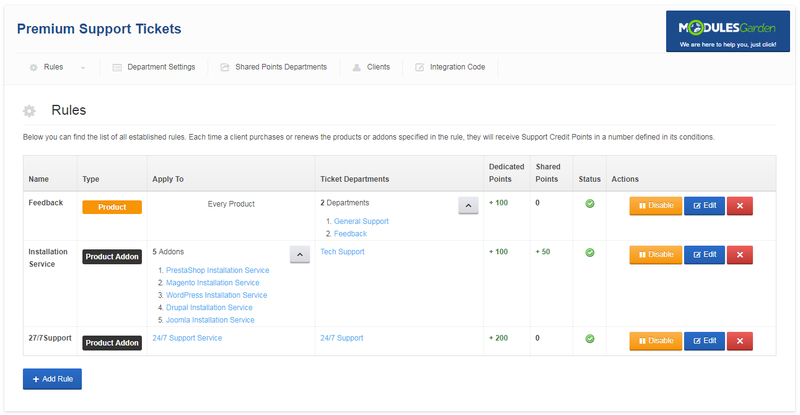 Order the module straight off!